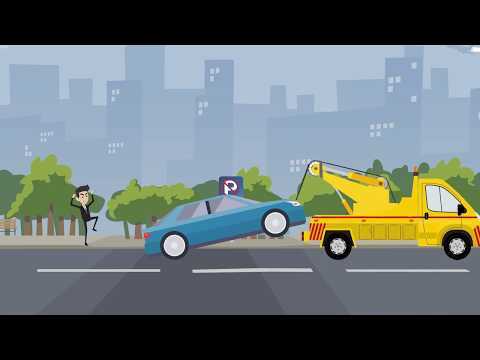 This revolutionary service saves countless time, hassle, traffic congestion, fuel and paper waste as transactions are made with the PARKRES cryptocurrency and payments can be made by phone, online, auto payments, or monthly subscriptions. System also allows making payments by FIAT currencies and credit cards if user chose to do so over digital currencies. PARKRES system is reinventing the parking industry, as we know it today. On PARKRES platform users would be able to register or list their own free/open parking spaces, garages to rent out and make money from it. It would revolutionize the private parking rental industry, and provide user means to capitalize on their empty and unused space. Parkres does not solve a real problem. Compared to current mobile payment solutions, there is no real value offer. Disrupting traditional solutions does not necessarily require a blockchain solution. It is unclear how the IoT solution works and how it can be implemented in large cities. The benefits of the project are not emphasized in the whitepaper. The business concept is unclear. No MVP, the promised mobile app is in coming soon status. The team is too small, the current level of competence does not seem sufficient for implementation. Some ICO evaluation data (rating) are incorrect on the project's main page. There is too much to promise and too few real answers to the user's questions. Assembling the co-founding team and developing initial idea. Building Development and marketing team, Creating first draft of white paper, Launch of Private Sale for private investors. Internal testing of alpha version- Tokens, Signing initial partners and customers, Releasing of smart contracts, Approching first customers, Start of Pre-ITO Sale event. Completion of croundfunding event, Token distribution, Negotiate Listing on exchanges, Partnership with scalable blockchains. Release of open source SDK Contracts, Building of ecosystem with development community participation, Start of mobile app developments for Android, IOS and web Interface. Launch of Beta mobile apps, Start of Design and development of IOT gateway modules. Launch of Alpha version for mobile apps, Development of IOT gateway modules, Prototype development and test implimentation. Integration of systems, Wallet backend, IOT analytics, Assembly of Parking Reading Consoles. Contract Negotiation with customers, Installation of Reading Consoles, End to End Testing of Consoles and application. Luanch of Phase 1- Product in Canada, North America, Instalation of reading consoles on parking loacations, roadshows and bussiness development. R & D center Canada, India. System improvements and setup of Architecture university. Start of Traffic updates console in PARKRES. Lauch of traffic update feature in PARKRES. Start of LPALMS platform development. Launch of LPALMS platform, to users. Performance tuning and infrastrucure upgrade for PARKRES platform. Roadshows and business devlopment events. R&D Center USA, Phillippines. Integration of Parkres apis into vehical GPS modules, Negotiation of contracts and licensing terms with car manufacturers.